D.C. Councilmember Robert White, Jr. just became chair of the newly-founded Committee on Facilities and Procurement. He joins us to talk about what that committee will do under his leadership and share his thoughts on the future of education and sports gambling in the District. KOJO NNAMDIFrom WAMU 88.5 at American University in Washington, welcome to the Politics Hours starring Tom Sherwood. I'm Kojo Nnamdi. Tom Sherwood is our Resident Analyst. He's a contributing writer for Washington City Paper. Tom, welcome. TOM SHERWOODGood afternoon. Hope everyone is enjoying the snow. NNAMDII doubt it. Later in the broadcast we'll be talking with Justin Wilson who is the mayor of Alexandria. Joining us in studio now is Robert White. Robert White, Jr. is a councilmember in the District of Columbia. He's a Democrat at-large. Robert White, thank you for joining us. ROBERT WHITE JR.Thanks for having me back. NNAMDITom Sherwood, Maryland governor, Larry Hogan, made a state of the state address last week. And I'm just wondering, what were the points you took from the address, because it seems that just about half of the observers were wondering whether or not he was thinking about throwing his hat in the ring for a much bigger race. SHERWOODWell, Governor Hogan who won a smashing re-election victory last year is being talked up by a lot of people in the Republican Party side as someone who could run for president and be the un-Trump. Whether or not that happens, whether Governor Hogan follows through he certainly as any political person would loves being mentioned as a potential presidential candidate. SHERWOODAnd so his speech was not -- there weren't a lot of details in his state of the Maryland speech. He did propose some tax cuts, which he's already known for. He talked about some job training. He talked about some more school oversight, maybe putting some people to look over the local school system, more tougher penalties for violent offenders, things like that. But nothing bold -- unlike Mayor Bowser who maybe we'll get to with our first guest -- nothing dramatically bold. I think he's preparing to -- he's got to do battle for support from the Democratic general assembly. NNAMDIAnd, okay, long time Maryland Montgomery County Police Chief, Tom Manger, is stepping down after 15 years -- to Sherwood and me that looks like just yesterday he came -- but he is stepping down after 15 years. He'll be taking over the Washington office of the major cities chiefs association because Cathy Lanier already got that NFL job. So he's going to be doing something else. But anything that you think of particularly outstanding about his 15 years at Montgomery County Police Chief? SHERWOODWell, that he also had been police chief in Fairfax County. You know, we had hoped to have him on the show today. No offense to the person who is here. But, you know, 15 years in Montgomery County. It was January 30th and almost to the day 15 years ago. He is widely respected. Now, the FOP put out kind of a little bit of a snippy congratulations, in part because the FOP in Montgomery County wasn't told he was retiring. They had read it in the news like everybody else. SHERWOODBut you know he -- and Chief Manger wrote a letter to local media when Trump talked about treating suspects a little tough, like, don't duck their heads when you put them in the patrol car that kind of foolishness. Chief Manger wrote a public letter as a leader of the Chiefs of America and said, You cannot treat people like that. This is a horrible thing that you've said. So he's worked hard. He's got a good reputation. And maybe we'll talk to him or you'll talk to him maybe later in the future before he quits in April, but 15 years. SHERWOODAsk him about his acting -- you know, he met his wife when he was acting in Virginia and Arlington. And he and his wife were actors. NNAMDIAnd I want to ask him about the days when he was a summer cop in Ocean City, Maryland. SHERWOODYou know, he still -- I was told this week when he's out and about, he'll still write tickets and go on ride-alongs with officers. That's amazing for someone with his experience. NNAMDIYou can't do that after you retire, Chief Manger. I'm sorry. Our guest in studio is Robert White. He is a member of the D.C. Council. He's an at-large member. He's a Democrat. The D.C. Council is hard at work figuring out a legal sports gambling program. And one major question remains unanswered, what should the process be like for choosing a vender to run it? Why has this become such a sticking point for the Council? WHITE JR.Well, first of all thanking you for letting me be your plan B today. SHERWOODWe want to start with an easy question, don't we? WHITE JR.So here's the sticking point in a nutshell. The Council has determined with the advice of our Chief Financial Officer that the D.C. Lottery should be running our sports betting operation. Now, the CFO believes that if they compete this very lucrative contract that the process will take three years between getting out the regulations, appeals, which I think will certainly happen. And that in three years, Maryland and or Virginia will be out in the market ahead of us. The first to market they believe, and they're probably right, will do much better than the others. And in that three years you have lost some revenue. And so the CFO is making a case that the city should sole source this contract. SHERWOODWell, you know, the finance committee this week held a hearing on this, a substantial hearing. And you were there for a substantial part of it. It voted three to two to move this bill to the Council maybe as early as Tuesday. But Vincent Gray, one of the members of the Committee didn't vote when the Committee met later this week. I think Wednesday and voted. And Phil Mendelson, the Chairman of the Council had to come in and vote for it. SHERWOODSo there is some dispute about it. I would say that Jeffrey DeWit gave a pretty strong testimony on Monday. I attended the hearing. He said in his 30 years as a CFO and this is CFO that's been fairly well popular and respected in the city. He said this is a unicorn case of doing a sole source contract. That the financing of all of this demands you just stay with the current contractor, Intralot. But as the councilmember knows, there's a lot of business people in town who want to get their hands in some of this. And they want to see a bidding process even if the city loses money. NNAMDIBut you are somewhat cynical about the position that the CFO has taken on this issue. The city is not exactly starving for money right now. The city's coffers are doing pretty well. And so you have some doubts in your mind about this rapid rollout. WHITE JR.Well, it's not the speed itself. It's that I always will have concerns about a sole source contract. There are times when it will be appropriate to not compete a contract and to give it to give it to one company, perhaps an incumbent company, but that should be the rarest case. And so I really wanted to throw all of the opposing arguments that I had at our chief financial officer. And get responses to have them really really justify is this in the best interest of the city. SHERWOODThis could come up for a vote. I think Councilmember Jack Evans, Chairman of the Finance and Revenue Committee is telling folks that he's out of committee and that he will bring it up for a vote on Tuesday if there are seven votes for it. Can you tell us now based on what the law is as passed by the Committee on sports betting how you will vote on Tuesday or are you still of an open mind? If it comes up Tuesday, it may not if he doesn't have the seven votes. WHITE JR.I do still have an open mind. I will say, my mind is more open than it was before the hearing earlier this week, because I really raised every objection that I had with our chief financial officer. I thought his responses were strong and convincing. But I still have a couple of rocks that I need to look under, because I don't want to set unnecessary precedent for sole sourcing contracts. SHERWOODWell, not even half. It's more like 20 percent. NNAMDI-- children between the ages of zero and three for violence prevention and early education programs. We've seen this movie before. NNAMDIWhat guarantees are there that this money will in fact be used to benefit those children who are in that age range who might be at risk? WHITE JR.Well, we know that there is no actual guarantee, because that's not how the budget process works. I think it's about 20 percent. SHERWOODI think the number is 20 percent. Isn't it? It's not 50. It's 20 percent instead of 50. WHITE JR.Some of the other money is going to the violence prevention to fund aspects of the NEAR act that Councilmember McDuffie got passed. But, you know, I co-authored the "Birth to Three" bill with Vince Gray and I'm a very very strong believer and advocate for early childhood development. But the city does have funds. And so I've really kind of divorced myself from the aspect of the argument that we need this money specifically for these programs. SHERWOODThe city does very well in early childhood in part thanks to Zero to Three. But Alicia Silverman, the councilmember at-large has weighed in and she sent me a text. She says, On sports betting only the money the D.C. government gets from licenses and sales tax on profits will go to early education and anti-violence. The bulk of the money from this goes to the general fund. NNAMDIThis week the Council heard testimony from people who have been affected by the opioid crisis, which has touched every ward of the District. Some express concern about how the crisis is being handled and especially what some are calling financial mismanagement and the mishandling of grant money at the department of behavioral health. What seems to be not working and what seems to be working in the way D.C. is responding to opioid abuse and overdoses? WHITE JR.Well, I think that the city is in the process of really uncovering exactly what happened. But I think we ended up behind the eight ball on this, because the opioid crisis just a few years ago, I think, was largely seen as something that was hitting primarily white folks in suburbia. And so I think that the city was probably caught flat footed and didn't put those pieces together until really it was too late. And so there's been changes in leadership under the mayor. But we do know that we have an emergent situation now. And so what I'm most interested in is not what mistakes we made last year, but what we're going to do this year. SHERWOODDo you support -- the mayor initially opposed. But then she supports putting the antidote with police officers on the street. Do you support that -- I never say it correctly. Can you pronounce it for me? SHERWOODNarcan, naloxone. Do you support police -- the fire and rescue people already have it. Do you support police officers having it? WHITE JR.Absolutely. You know, it's worth the cost. It's a resource that we need. We know that we have an issue here in the city. So let's make sure as many people have access to this antidote as possible. We know it saves lives. Other jurisdictions have their law enforcement carrying. So we should do the same. SHERWOODBig issue, schools, Lewis Ferebee, mayor's nominee for Chancellor for School System after Antwan Wilson blew up last year. He's in town. He's acting -- or interim, whatever you guys call it. He's going around. He's meeting with people. You're on the Education Committee. What is your view? Have you sat down with Lewis Ferebee yet? What you thinking in terms of supporting his appointment as Chancellor? Are you for him or against him at this point or is your mind still open? WHITE JR.So I have sat down with Dr. Ferebee. We met in my office. He seems like a nice guy, really sharp. But there is some high hurdles that he and the mayor are going to have to overcome. One of the most pressing education issues in our city is the achievement gap between black and brown students and their white counterparts. And this is something that the data from his ten year in Indianapolis does not show to be perhaps his strongest point. SHERWOODNo gains in five years. WHITE JR.That's right. Now he will have an opportunity to respond to that. But I think that he and the mayor are going to have to make the case. I'm keeping my mind open until he responds to all of these issues. But Councilmember David Grosso and Chairman Phil Mendelson had the first of, I think, two community round tables earlier this week. I was there. And we'll have another one I believe next week. I've heard a lot of concerns from parents and advocates and teachers. And he'll have a chance to respond. WHITE JR.But I will tell you this. If I believe that Dr. Ferebee can restore trust between school communities and DCPS and that he can close the achievement gap, he will absolutely have my support. But he's going to have to make that case. NNAMDIWell, let's take a phone call first, because somebody wants to talk about the money going to anti-violence. Our caller's name is Ronald Moten. Ron Moten, you're on the air. Go ahead, please. RONHow are you doing? I was going to say that I'm very displeased in everybody from the media, talk shows, and the government with the outrage of the violence that's going on in our community. And the way that I feel as somebody, who's been in a community for the last 20 years, anything that will go to help deal with violence and early childhood in our community, we need to do something about it. RONI heard Robert said the funds have been available. But the great job that Robert and McDuffie and Resin and the mayor has done with the (unintelligible) is good. But we know what was done 10 years ago in this city when there was lot of organizations. Not just (word?) organization, but were putting a dent in dealing with the violence. Unfortunately those organizations didn't get credit and what happened was we always said the police department was doing, which people know is not true because that's -- we need to make sure that funds are being put in our community by any means necessary. RONI don't know who saw (word?) the other day where those people came in the store to put guns in people's head. We're going through this every day in Ward 8. People are getting robbed. People are getting killed. And there's no emergency at all. So anybody who's against anything that's helping my community, I got a problem with them. I got a problem with them. RONBecause people are dying and you all are not feeling what we're feeling right now. There is no excuse. NNAMDIRon Moten, I should say is a well-known activist in the District of Columbia, especially when it comes to anti-violence. SHERWOODAnd the mayor has done a variety of things. She's announced -- I think this week, six millions dollars for some. But in general she says she's responsible. Chief Newsham says he's responding. Crime goes up and crime goes down. But this -- you know, we've had a lot of homicides since the first of the year. We might up to 18 to 20 now, your thoughts about -- and Chief Newsham has just gotten a new contract. Do you think Chief Newsham is the right person in the job? WHITE JR.Well, I think -- I hope people heard and understood the frustration in Ron Moten's voice. The level of violent crime, particularly in Ward 8, but really across this city is out of control and people are feeling unsafe. Communities are feeling unsafe. And I don't think they see from the government us responding in a way that says, yes, this is an emergency. WHITE JR.When we had our mayor, council breakfast-meeting earlier this week Councilmember Trayon White and Councilmember Anita Bonds made excellent points about whether we are really going to prioritize community violence with the resources that are necessary. I was encouraged by a presentation by the mayor that indicated that she is going to take an approach that has not just to do with law enforcement, but treating violence as a public health issue and addressing trauma. And if she is able to do that and put that plan together and coordinate it amongst all the agencies that have an impact on crime outside of law enforcement, I think we'll be able to make some real headway. NNAMDIIn that respect I have to recommend Jonetta Rose Barras's excellent documentary on trauma, which you can find on YouTube. But go ahead Tom. SHERWOODThat's very good. Well, speaking of trauma. Let's raise some here with councilmember. I did the research for you. I talked to almost, not all. But I talked to a substantial number of councilmembers. I talked to some staff people. I talked to some community people. They all have nice things to say about you. So you can take that worried look off your face. NNAMDIBecause you know what's coming. SHERWOODBut they also say almost to a person, to a person, they say you are an ambitious politician. You've worked hard to be on the Council. You've had to run a couple of times. You've demonstrated your strength as a councilmember. You are liked as a councilmember. But people say, got to watch this guy, he's preparing to run for mayor. Got to watch this guy, he's going to run for Eleanor Holmes Norton's seat, where you worked for her, I think, four or five years. Should she decide not to run -- of course, you would support her until she decides not to be there. That you will run maybe for council chairman. SHERWOODYou just got elected, you know, at-large. But do you like the fact that people see you as somebody who is going to run for higher office or are you worried that people think you're too ambitious? And ambition cuts both ways. WHITE JR.It does. I do always worry about having a target on me. SHERWOODExcuse me. I forgot. And you also worked for Attorney General Karl Racine and some people are saying, well, if he runs for mayor in four years, you'll run for Attorney General. So I've got them all covered. WHITE JR.You know, I think it's -- my plans as a councilmember are admittedly ambitious, but they're focused only on the job that I'm doing now. I love love love my job. SHERWOODAnd you would love to mayor maybe. WHITE JR.Well, I still have more to accomplish in this job. And so if I start thinking about what my next move is I think I get distracted. And the things that people, I hope, appreciate about the work that I do I think become diluted. And so I'm not distracted by these conversations. I'm flattered by them, but not distracted by them. And none of these conversations involve me. SHERWOODIt's like what, you know, people of Governor Hogan whether he runs for president or not, it's nice if you're a political person that people see you as someone of the strength and character maybe to move into a new job as you focus on the one you've got. WHITE JR.It is something I appreciate. NNAMDIHere's Bill in Washington. Bill, you're on the air. Go ahead, please. BILLWell, hey, I was wondering with this sports betting legislation whether the D.C. Council or whether the D.C. Lottery, I'm sorry, runs it or not, there's certain side to they're -- not open to D.C. residents like TwinSpires, which does horse race betting. And there are doubtless other online places where you can gamble and bet money. I was wondering when D.C. residents will get access to places like that. SHERWOODWell, you know, one thing that's difference -- I'm not sure about horse racing. But I asked this week at this hearing, I said, Will D.C. sports betting be just pro sports? In Virginia and other places, they just want it to be on pro sports. Now at college sports, Jack Evans says, No. It would be sports betting. So why wouldn't horse racing be included? NNAMDIHey, you can bet on dominos if you want to, but go ahead. SHERWOODIf anybody knows, text me the answer to that. Is horse racing included in sports? Do you know maybe? WHITE JR.I don't know if sports -- if horse racing is included. Maybe, but there's strong reasons that college sports often are not included, which is that professional sports players make so much money that it is really difficult to tempt them with a million dollars or so. WHITE JR.Now collegiate sports players, who are not paid, the belief is that it is easier to have someone act in a way that isn't ethical. NNAMDII wanted to go to schools, because we were talking about Lewis Ferebee, the acting Chancellor who is involved in hearings now to become D.C.'s School Chancellor. At the hearing that you attended some residents raised the question of how committed he is to a traditional public school system in light of steps he took to handle over Indianapolis's lowest performing elementary schools to private operators when he was superintendent there. How compatible do you think his opinions about charter and traditional public schools are with the districts? NNAMDIAnd to make this even really longer and to complicate it a little more, last week we learned that two Cesar Chavez public charter school campuses in the District will close. It's the only unionized school in the District. And this week we learned that D.C. charter school administrators have some of the highest salaries in the city while their teachers have some of the lowest. Can you try to combine all of these developments and talk about what you think the chancellor needs to be doing? WHITE JR.Absolutely. There are some people in our city, who are very anti-charter school. It is not the majority of people. I think the majority of folks in our city want to see a strong public barite system and they appreciate that there are charter options, but believe that they should be a choice and not a mandate based on the neighborhood you live in. WHITE JR.Dr. Ferebee created what were called innovation schools in Indianapolis whereby the schools would remain neighborhood schools, but the union and the school system would be pushed out and they would be run essentially as neighborhood charter schools. That is a concept that is not going to fly in the District of Columbia for a number of reasons. And for those in our city who are nervous about what some see as a charter take-over, Dr. Ferebee is going to have to address that very very clearly when he responds to everything that we've heard from the community. NNAMDIWere you surprised by some of the salaries that the administrators of charter schools are making? WHITE JR.Well, I think there are two things we know. One that we don't know a lot of the salary data about charter schools and folks who make more modest amounts of money would probably be more open if they were more on par in with our traditional DCPS leadership. And two I think we've known from cases that have become lawsuits that there are high salaries in the charter sector. SHERWOODCharters account for about half the school population in the city. Is that right? WHITE JR.That's right. That's right. SHERWOODAnd we don't -- we just don't get a lot of public attention to the charter school board. They have hearings all the time on either opening new schools or closing schools that aren't working. It just seems we really need a parallel -- charters ought to be a part of a school system. But it's the public school system that should get the biggest focus and maybe that's what Lewis Ferebee will do. WHITE JR.Maybe. But I do remind you that charter schools are public schools. SHERWOODRight. They get public money. That's true. But they have fewer -- I mean, why don't they have public disclosure of their salaries and all that other information? SHERWOODMuch more powerful than -- it sounds like a snoozer, very powerful committee. NNAMDIWhat will that committee do? WHITE JR.The committee has oversight over the Department of General Services, which manages almost all property and buildings under the District of Columbia government, the office of Contracting and Procurement, most of our returning citizen cluster, and the office of the Advisory Neighborhood Commission. It does sound like a snoozer. But I couldn't be more excited to have this committee. NNAMDIWell, as a snoozer, it might allow you to answer this email we got from Laura and Chris, "Starting several years ago Fort Dupont Ice Arena, the only indoor ice rink in D.C. secured a $25 million commitment from the District to expand the facility. D.C. government is now considering resending its commitment to Fort Dupont and thousands of users including children from Ward 7 and Ward 8 and the users that subsidize FDIS free and reduced cost programing. Can you, please, explain why these funds were deobligated after being committed? SHERWOODYeah, the mayor took them, I mean. Let's be clear. The mayor took them, $21 million. They mayor took them. And she wants to reprogram the money. WHITE JR.She wants to reprogram them to make repairs at primarily schools most of them in Ward 7. Look, we do have to prioritize our schools and make sure they are in good working condition, but this is an ongoing obligation that existed two weeks ago just as it existed two years ago. So the due diligence that I'm doing on this issue is to understand whether there are other pots of money that we can pull from so that we don't impact the ice arena. And also is the -- I think the number is now up to $30 million for the ice rink. Is that a reasonable number? So there's some due diligence I have to do on both sides of this debate. SHERWOODAnd certainly, Ward 7 like many things, it needs places for families and children to go. It's important. WHITE JR.That's right. And non-traditional (unintelligible). SHERWOODAll types of things. So it's important. Could money in the $14 billion budget, and I know everybody says this when they're supporting something. It does seem that's an odd place to take $21 or $30 million dollars. WHITE JR.And it would -- let me say this too for this debate. Somebody sent me a Facebook message yesterday with a picture of a little girl at school wearing a coat because the HVAC is out. This is something that's just not acceptable. And it is in this part time of the year an emergency. And so my hope is that we can solve both of these issues at the same time. SHERWOODMy worry is that for the last half decade or so, we've spent a couple of billion dollars either remodeling schools or tearing them down and building new ones, like H. D. Woodson and several others, across the city. How is it that we can have HVAC systems not working? WHITE JR.Well, I'm wondering the same thing, and now that I have oversight over the Department of General Services, we actually sent them a question yesterday on this exact same issue. So, we'll get a handle on the status, but the reality is it just can't happen. NNAMDIThis is the last question. SHERWOOD...another easy issue for him. The mayor, last night, with the Ward 3 meeting was very strong about talking about lots of these issues. And someone asked about Phil Mendelson, the chairman's proposal to break up the Department of Consumer and Regulatory Affairs, which is an agency that I think everyone hates. And the mayor said, well, if you break it up, you'll just have two DC RAs to hate. Do you have any thoughts about -- a lot of citizens and businesses interact with DCRA on a number of levels. Do you have any thoughts about the future of that most hated agency? WHITE JR.Yes. DCRA has improved for high-money users in the past few years. SHERWOODIf you've got the money, they've got the time. That's the story. WHITE JR.(overlapping) And they have the resources. But the reality is, as a councilmember, I should not be stopped in the store and in public more about the Department of Consumer Regulatory Affairs than I'm stopped about any other agency. We know that there are things that are tragically wrong in this agency. If we have to split it up because there's too much under their jurisdiction -- which I'm inclined to believe -- then that's what we have to do. SHERWOODIt's out of time (sic). You're up for reelection in 2020. Are you planning to run for reelection? WHITE JR.I am planning to run for reelection. NNAMDIWho is the person who beat him. SHERWOODWho beat him. But he's out of the line of sight for you. Is that right? WHITE JR.Well, I hope so. I don't take anything for granted, though. NNAMDIRobert White, Jr. is a councilmember of the District of Columbia. He's an at-large member. He's a Democrat. Robert White, thank you so much for joining us. WHITE JR.Thanks for having me. NNAMDIUp next is Justin Wilson. He is the mayor of Alexandria, the new mayor of Alexandria. You can start calling now: 800-433-8850. If you have questions or comments for him, you can send us a Tweet @kojoshow, or email to kojo@wamu.org. Tom Sherwood, clarify, if you will, what's going on with this abortion bill in Virginia, because on the one hand, the governor of Virginia and delegate Kathy Tran are being attacked for attacking this bill, which was described as a failed bill. Nevertheless, it says that Kathy Tran's bill is, like current law, would allow abortions up to the point of delivery in cases where the mother's life or health was at serious risk. If that is indeed current law, what was the new bill supposed to do? SHERWOODKathy Tran, the delegate from Fairfax, her bill would -- there are various conditions on late term, third term abortions. And I think there's like three doctors have to be involved, and she wanted to make it one, a couple other issues. But the big picture here is, is that all 140 seats of the legislature are up this November. The Republicans had their heads handed to them in 2017. They do not want to have that happen again, and so they want to have issues to run on. They believe the prolife antiabortion is a very strong issue. This has been an issue in New York. It's nationwide. It's just when can a woman have an abortion, right up to the moment of birth. SHERWOODAnd the way Kathy Tran spoke and the way that Governor Northam spoke on another radio station left the impression that they were kind of in favor of this, when, in fact, they are not, and they have a long history of saying this, that only the most extreme cases and with a doctor's approval and the woman's approval, would there be any kind of abortion in the third trimester. But the way it was said and video that was posted, the conservatives have launched onto this, and the Republicans believe they have a strong issue for their November balloting. Maybe the next guest could comment. NNAMDIThe next guest being Justin Wilson. He is the mayor of Alexandria, being invited to jump in on this statewide controversy (laugh). Justin Wilson, care to comment? Welcome. WILSONThank you for having me. NNAMDIIf you have questions or comments for the Mayor of Alexandria, give us a call, 800-433-8850. State Senator Adam Ebbin of Alexandria, he represents in the legislature. NNAMDIHe introduced a bill that is scheduled to be heard by the full Senate today that would override Fairfax County's yearly time limits for renting out one's property for short-term rentals. This has been a controversial issue throughout the region. What do you think of that bill, and what do you think is the best way to regulate short term rentals in Alexandria? WILSONWell, so, the city of Alexandria adopted an ordinance last year that requires registration, but doesn't impose any time limits, like Fairfax County has done. I've seen the senator's bill. I think, generally, I come down on the side of a local government should have the authority to craft regulatory regime that makes sense for us. And so I would go with the local control side of this. I think his legislation would change what Fairfax has done, specifically. And, generally speaking, I think the local government should have the authority there. SHERWOODI called him just before the show started. He was on the floor, and he called me right back. And he says that he normally is for jurisdictions -- as they call them in Virginia localities -- having their own way. But he said he had just heard from so many people that a 60-day limit for people who try to make money off of these things is too little, and that he thinks there ought to be a standard across the state for the number of days. He doesn't want to get into how many people -- Fairfax says if you only have like six adults or something like that. He says I don't want to get into all that. I just want a consistent pattern, and make sure everyone collects the state taxes. WILSONYeah, you know, and so we do have -- the taxation, I think, has been dealt with. There's agreements now with some of the larger providers to handle taxation. And, you know, I think we tried to craft a regime that made sense for us in Alexandria. We certainly have heard from residents who would like us to see more restrictive, you know, like Fairfax has been, and we've certainly heard from residents the other way. I think it's always a balance, you know, in trying to balance the quality of life concerns with these uses, as well as ensuring that the residents can receive the value from their properties. SHERWOODSharon Bulova, the head of Fairfax government, she said it's terribly unfair, but it is unusual for Adam Ebbin, state senator, to get involved in local matters like this. So, he feels strongly about it. NNAMDI(overlapping) I've got a lot of questions for you, but I think the listeners' questions are better than mine, so let's start with Bill in Alexandria, Virginia. Bill, you're on the air. Go ahead, please. NNAMDI(overlapping) Okay. Here's his answer. WILSONWell, there's a couple things going on here, right. So, I think, certainly, there is some environmental concerns on that site, a couple environment concerns. We also -- in addition to the issues the gentleman mentioned regarding what's under the carcinogenic material that's under the property there, there's also issues that we have to deal with to accommodate some of our combined sewer remediation work on that site. I think redevelopment of that site has been tricky. It's been tricky for a while. WILSONI think the gentleman's right, that the owner of that site, who had gone through the process to get approval for some significant development, has pulled back from that, and they're marketing that property. There's a number of suitors, and they're looking at a bunch of different options. Clearly, we would comply with all federal, state and local regulations regarding dealing with the environmental cleanup that has to happen on that site. And we'll work through that process and ensure that we protect our residents. NNAMDILet's stay with that for a second, because Hal emails: given the proposed Potomac Yard metro stations are linked to the Amazon deal, please comment on the city's recently withdrawn environmental impact statement, which apparently was incomplete and failed to address protected title wetlands. Not that I'm against the metro station in the proper location. WILSONSure. Yeah, so, we're certainly working with the Department of Environmental Quality to comply with all the rules and regulations for permitting there. That site is tricky. It always has been. We've been working on bringing a metro station to Potomac Yard for, now, a quarter of a century. And we've been working very closely with federal and state environmental regulators to make sure that we do so in the most sensitive way possible, with the wetlands that are there. We did receive a request to revise our permit application, and we did so, and we're working to make sure that we dot all our Is and cross all our Ts. And we'll actually have a public meeting on Monday to talk about that process. SHERWOODYou were on the council before you got elected mayor, and the Alexandria Times, when you took over, said that you're smart, well versed in local policies and successful in implementing your agenda on the council. Quote, "however his backing the seemingly endless development as a budgetary cure-all does give us pause." Now, that's exactly the opposite of over in Montgomery County, where Marc Elrich was seen as antidevelopment. Alexandria Times saying: you are too pro-development. You criticized the previous mayor, Allison Silberberg, for being too slow and talking issues to death. How do you respond to the idea and worries that maybe you're just going to -- Alexandria needs to rebuild, but you'll go too fast? SHERWOOD(overlapping) With the shutdown , right. WILSON...the considerable service economy impacts, as well, we have to diversify our economy in our city. And we have to build an economy that is less dependent on federal spending. And I think we should be impatient about that. I don't think that's something that we can afford to be complacent on. I don't think that means overdevelopment or anything that's going to harm our quality of life. I think that means balancing our quality of life concerns with the need to grow economically. And I think the shutdown is just the latest reminder of the urgency on that, but this has been an issue for us for a while. WILSONI mean, we're going to present a budget -- the city manager's going to present a budget in a couple of days. It's predicated on 1.9 percent revenue growth. That's been a pattern we've been in for about 15 years, and when our school system is growing at 3 to 4 percent a year, when we're seeing huge deferred infrastructure investment needs that we have to deal with, the needs of metro, the needs of human services and public safety in our city, 1.9 percent's just not going to cut it. And so, I think we either need to radically change the expectations of government in the city, or we need to figure out a way that, economically, we can grow in a more sustainable manner. SHERWOODAnd this pressure on private property taxes, if you don't get money from commercial. WILSONAbsolutely. Absolutely. It's got to come from somewhere. NNAMDIYou mentioned the shutdown. About 9 percent of the population of your city works for the federal government. A new shutdown could start in just two weeks. How can the city prepare for future shutdowns? WILSONYou know, I think we have some -- the past is a little bit instructive. You know, we were able to see during this period, you know, the significant increases in human services needs that we saw. We had residents that were calling upon services they've never had to call upon. We've also worked with our federal partners. I think Senator Warner, Senator Kaine and Congressman Beyer have been helpful in helping address some of those needs. Needs for employment insurance, the needs for our small businesses that require emergency lending and, you know, a lot of the things you would handle in a natural disaster that the city would face. That's the kind of preparation we need for this. WILSONI mean, it's so frustrating, because it's a self-inflicted wound that (laugh) this nation is imposing upon itself. But certainly, for this region -- and for Alexandria, specifically -- we bear that wound more than most, and it's really tragic. NNAMDIHere's Casey in Alexandria. Casey, your turn. NNAMDI(overlapping) And there were no streetlights. WILSON(overlapping) I am sorry to hear that. Please drop me an email at justin.wilson@alexandriava.gov. It's justin.wilson@alexanriava.gov, and I will look into that immediately and figure out what's going on. I'm sorry to hear about the attack you suffered, and I hope your recovery is going well, and we'll try to figure out what's going on with that streetlight. SHERWOODThat's one of the things about being a mayor of a city your size. As a councilmember, people would come up to you in a grocery store or somewhere and ask you something. As mayor, that probably has quadrupled the chances of that happening. WILSONAnd my wife and kids love it. SHERWOODYes, I'm sure they do. Your phone rings. But, you know, you have a -- it's a part-time job. SHERWOODIt doesn't pay -- I think it used to be $35,000, some kind of ridiculous low figure. You're still employed at Amtrak. SHERWOODAnd it's at the Union Station? You go to Union Station? WILSON(overlapping) It's full time hours, part time pay. SHERWOOD...how does it affect your doing work at Amtrak at Union Station? WILSONI continue to do my day job. WILSONAnd plan to. That's correct. NNAMDIMegan emails: as a fellow neighbor of yours in Del Ray, are you supportive of putting in some historic preservation protection for Del Ray like Old Town has to help protect our character and quality of life from the current teardown infestation and the coming pressures of Amazon? WILSONYeah, this is a difficult issue we've been working through. And, you know, when Old Town -- we have two historic districts in the city, Old and Historic District and Old Town in Parker Gray District, which is just west of Old Town. And in both of those areas, the property owners voluntarily agreed, initially, to a series of property protections. It meant they give up some of their property rights. I think if we were to do something like that in Del Ray, there would need to be broad support. WILSONI've definitely heard from residents who are concerned about the teardowns. I think the city has worked to try to increase voluntary options to encourage preservation. We published a pattern book, and we worked with property owners to try to preserve particularly some of the historic architecture that exists in Del Ray. I think it is always a difficult balance in trying to preserve that history, while not restricting property rights, overly. And so I think it's certainly a conversation we can have. I think there's still some options we have on the voluntary side, where we can continue to provide carrots for folks to preserve some of those properties. SHERWOODJust briefly, Del Ray is a terrific neighborhood. SHERWOODBut you're talking about people tearing down these older homes and building, like, mansions and filling up the square footage, and all of that. You know, Minneapolis got rid of single family zoning because of the demand for housing. I don't know what the demand for housing in Alexandria is. Maybe you could tell us, but that maybe single family zoning is a relic, and it needs to change. NNAMDI(overlapping) A recent report from the Northern Virginia Affordable Housing Alliance said of the announcement that Amazon was coming to the area should, quoting here, "create a regional sense of urgency and commitment to address our housing supply and affordability gap." What do you make of that? Do you feel a sense of urgency around housing in Alexandria? WILSONYou know, I certainly do, and I think one of the benefits of the Amazon Virginia tech situation for us in Alexandria is it shined a light on an issue that we've been working -- dealing with for really over a decade in the city, but it's brought a lot of attention to it. You just had the chair of COG here and the Council of Government's taken on this issue regionally this year. And they're working to try to figure out how we accommodate the amount of housing that we need in this region. And I think that means looking at our zoning tools. WILSONMinneapolis is certainly a vanguard of this issue. They're doing something that's extremely aggressive and very edgy, and I think jurisdictions all around the country are watching to see how that works. But, I think, how do we increase affordability and equity in a lot of our single family neighborhoods is certainly a conversation that we're going to be dealing with as a city, particularly with Amazon coming in next door, in Arlington. SHERWOOD(overlapping) Four out of seven, I'm sorry, counting you as the mayor. WILSONYeah, it's the first time in 15 years. SHERWOOD…turnover. Given all the issues that you've got to deal with, that's a significant change to have all four newbies on the council. WILSONIt is a big change. SHERWOOD(overlapping) You'll be getting there. WILSONYeah, and I used to be the young guy on the council. But we have new ideas, new energy, new experiences, and so we're working to bring all that together. 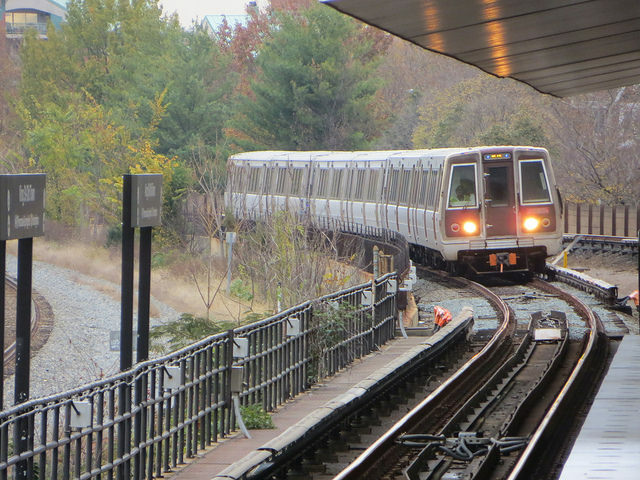 NNAMDISusan tweets in: can the mayor discuss the concerns around WMATA's plans to address the Metro closure this summer? This summer, all Alexandria Metro stations will temporarily close, as a part of WMATA's project to reconstruct the outdoor platforms. How are you going to deal with that? WILSONYeah, so, this is definitely a big issue that we've been working through. We did have WMATA representatives along with our city staff at council a couple weeks ago, presenting the latest draft of their mitigation plan. I think we are deeply concerned. We're deeply concerned on the impacts on our residents in getting to their day jobs. I'm a daily Metro commuter myself. We're worried about visitors being able to get to the city and visit our businesses. We're worried about our businesses being able to get their employees to their businesses. WILSONAnd so I think it's a significant challenge for us, and also a significant challenge for the entire region. It's not just an Alexandria issue. It's going to affect Arlington and Fairfax and others. And so our message to Metro was that the planning is progressing, and that's good, but it needs to be more. I think our message is that the shuttles that they have proposed to deal with this closure need to have better headways, need to have more capacity. We don't believe the capacity that they have currently planned is going to be enough. We'd like to see expansions on -- you know, they're increasing capacity on some of their existing bus routes, particularly some of the ones that come into the district. We want to see expansions on that. WILSONAnd we're working to deploy a variety of options on our own side. You know, one of the things I'm most excited about is I think, you know, the largest untapped capacity we have in this region for commuting is the river, and we don't well utilize the river for commuting traffic. And I think this summer will give us an opportunity in Alexandria to experiment with that a little bit. WILSONWell, so, I mean, essentially, during this closure, there's going to be no yellow or blue south of the airport. SHERWOODRight. Right. And already, we have all the construction at the airport. It's quite a mess. WILSONCorrect. We have the construction at the airport. We actually have construction at King Street Metro, and then we're going to be bringing a new Potomac Yard Metro Station online. SHERWOOD(overlapping) The good news is, getting through all of this, hopefully, we'll have a Metro system that we can rely on, and an airport that we want to go to. WILSONYeah, I mean, it drives home the challenges when you defer this infrastructure investment (laugh). I mean, we've got to deal with this, and that's the problem. NNAMDIWe only have about a minute left, but overcrowding remains a problem in Alexandria public schools. Our questions remain over whether or not to build a new high school or split T.C. Williams High into satellite campuses. You have a new school superintendent in Gregory Hutchings, Jr. How would you like to see him address that issue? WILSONWell, so he just brought a proposal to the school board, actually, a week ago, regarding continuing to maintain a network of school buildings for high school, with one base high school. We have the largest four-grade high school in the state right now, and it's grown fairly dramatically over the last several years. Our capacity needs to grow. We've put money on the table. We put $124 million of city capital dollars to invest in high school capacity. We're going to work in partnership with our school board to determine the best way to utilize it. WILSONThank you so much for having me. NNAMDI...is the mayor of Alexandria. Thank you so much for joining us. Today's Politics Hour was produced by Mark Gunnery. Coming up on Monday, we get the latest on Ward 5's Providence Hospital, which is preparing to close. Plus, the museum is moving on from Pennsylvania Avenue and looking for a new home. We'll explore the museum's future and discuss the challenges many private museums face in a city full of free and public options. That all starts Monday at noon. In the meantime, Tom Sherwood, you attended something yesterday at the University of the District of Columbia. They're opening up a politics institute. They still have to raise money for it, but you were there. SHERWOODYes. It's an ambitious thing, $10 million. Let me quickly say the CFO's office said there will be no horse racing in online sports betting. SHERWOODWell, you know, I bet only in my mind. NNAMDITom Sherwood is our resident analyst. He's a contributing writer for Washington City Paper. Join us Monday at noon, when we'll be talking about the Newseum and Ward 5's Providence Hospital. Until then, thank you for listening. I'm Kojo Nnamdi.